Since the war against militant Islamists began in earnest in 2001, a cornerstone of U.S. national security policy has been to employ military commissions to hear criminal charges filed against al Qaeda leaders responsible for the September 11 (and subsequent) attacks. 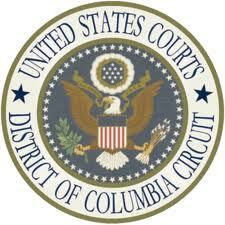 A decision last week by the U.S. Court of Appeals for the D.C. Circuit, al Bahlul v. U.S., throws that policy into disarray. It struck down a 2006 congressional statute permitting a wide variety of criminal charges to be brought before military commissions. Incredibly, the court invoked international law to do so, ruling that the U.S. Constitution only permits military commissions to consider those criminal charges that are accepted throughout the world as constituting violations of the international law of war. It is questionable whether U.S. courts should ever look to international law for guidance when interpreting the U.S. Constitution. It is unfathomable for a court to hold (as did the D.C. Circuit) that the U.S. Constitution is controlled by international law, and to do so in a manner that significantly impedes the government’s ability to conduct trials before military commissions. The Obama Administration should ask the Supreme Court to overturn this ill-conceived decision. The D.C. Circuit issued its decision in the case of Ali Hamza Ahmad Suliman al Bahlul, who until his capture in December 2001 served as chief propaganda minister for al Qaeda and played a major role in events leading up to the September 11 attacks. A military commission in 2008 convicted him of conspiracy to commit war crimes and sentenced him to life in prison. On appeal, he admitted virtually all of the factual allegations made against him but denied that his conduct was criminal. In particular, he argued that conspiracy is not a crime recognized under the international law of war. The United States conceded that point but said that the conspiracy charges were authorized by U.S. law—both because Congress explicitly authorized conspiracy charges in a 2006 statute and because such charges have been an accepted part of military law throughout American history. In overturning al Bahlul’s conviction, the D.C. Circuit majority deemed it irrelevant that Congress has authorized the President to bring conspiracy charges before military commissions. It ruled that Article III of the Constitution prohibits Congress from doing so by mandating that “the judicial power of the United States” may only be exercised by regularly constituted federal courts. The Executive Branch creates and controls military commissions and thus they do not qualify as Article III courts. The D.C. Circuit said that the Supreme Court has created a “limited exception” from Article III in the case of military commissions, but only to the extent that a commission hearing charges against enemy combatants is operating within the confines of well-accepted international law-of-war standards. Because the commission hearing charges against al Bahlul was operating outside those confines when it convicted al Bahlul of conspiracy to commit war crimes, the D.C. Circuit overturned the conviction on the ground that the commission exercised judicial powers reserved for Article III courts. In other words, prosecutors would be free to press conspiracy charges against al Bahlul in a federal court but are prohibited from doing so before a military commission unless and until they can convince the international community to recognize conspiracy as a chargeable offense under the international law of war. Prosecutors throughout U.S. history have brought conspiracy charges before military tribunals, perhaps most famously in connection with criminal proceedings filed against those who conspired to murder President Lincoln in 1865. During World War II, eight Nazi saboteurs who sneaked into the United States without uniforms were convicted by a military commission of conspiracy and other war crimes. In Ex Parte Quirin, the Supreme Court rejected the saboteurs’ claims that their trial before a military commission without a jury violated their rights under Article III and the Fifth and Sixth Amendments, concluding that the Framers had never intended those constitutional provisions to apply to military tribunals. The Court did not directly address whether Congress had authorized military commissions to press conspiracy charges (ruling instead that the defendants’ actions undoubtedly constituted war crimes), but nothing in Quirin remotely suggested that Congress’s power to grant such authorization depends on approval by the international community. The D.C. Circuit questioned whether Congress—at least prior to 2006—had ever actually authorized military commissions to convict enemy combatants of conspiracy charges. But the court ultimately concluded that the answer to that question was irrelevant because (it ruled) Congress lacked the power to grant such authority. The court viewed the existence of military commissions as a “narrow” exception to Article III’s mandate that the judicial power only be exercised by Article III courts, and that Article III permits law-of-war military commissions to exist only so long as they operate in compliance with international rules widely accepted throughout the world. The upshot of the D.C. Circuit’s decision is that even though both Congress and the President concluded that al Qaeda leaders who conspired to murder Americans should be tried before military tribunals, the government is not permitted to do so because other countries have not recognized conspiracy as a violation of the international law of war. Moreover, according to the court, it is the province of the federal courts to determine what types of law-of-war prosecutions the international community permits and to overrule the combined wisdom of the President and Congress on the basis of its own novel interpretation of Article III of the Constitution. Its message to the other branches of government: if you wish to expand the jurisdiction of American military tribunals, you will need to plead your case with the international community. It is particularly outlandish that the D.C. Circuit, in its invocation of international law to strike down a federal statute as unconstitutional, is doing so on behalf of enemy combatants who are not U.S. citizens and have never lived here. As Washington Legal Foundation pointed out in its brief filed in connection with earlier proceedings in this same case, such nonresident aliens are entitled to few, if any, protections under the U.S. Constitution. In a Supreme Court decision issued 65 years ago, Johnson v. Eisentrager, Justice Jackson warned that “[i]t would be difficult to devise more effective fettering of a field commander than to allow the very enemies he is ordered to reduce to submission to call him to account in his own civil courts and divert his attention from” ongoing military offensives to “the legal defensive.” Surely Justice Jackson was warning against rulings such as the D.C. Circuit’s recent folly when he issued that prophetic decision.